And with that, a triumphant Senate Majority Leader Mitch McConnell appeared to close the book on a divisive Republican debate, convincing President Donald Trump to shelve plans to replace the Affordable Care Act until after the 2020 election. "I made it clear to him that we were not going to be doing that in the Senate," McConnell told reporters on Tuesday. 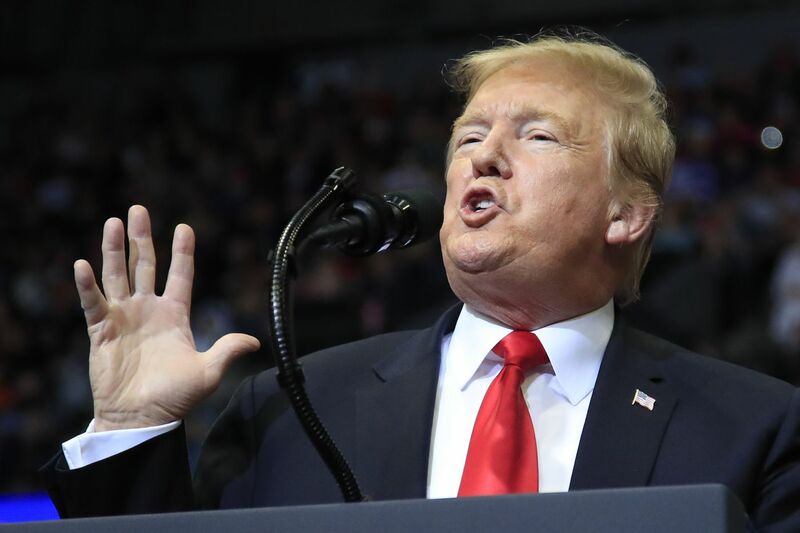 Facing a court deadline, Trump seized on health care last week , backing a lawsuit seeking to strike down the Affordable Care Act. Trump's motivations were as political as they were legislative. He didn't want to cede the issue again in the 2020 campaign, according to a person familiar with the conversations who was not authorized to speak publicly. Trump and McConnell had not spoken for days. The president stunned Republicans last week by announcing he wanted to try again to repeal and replace the Affordable Care Act, insisting the GOP could become the "party of health care." Republicans wanted no part of a do-over after their failure to replace the law in 2017. Facing a revolt from the ranks, McConnell told the president he needed him to listen, according to a person who was granted anonymity to discuss the private call.